Installing a fence yourself is possible if you have solid technical skills but if you don’t have the time nor the knowledge, you better hire the pros! We deliver great results and work faster than anyone else. Quality and value are at the core of our company’s values and you can be sure that every dollar you spend with us is well invested. Whether you like wood fences, chain-link fences, iron fences, security fences or anything else, we can assist you with the installation. Our company offers a one-stop service for everything related to your fence, not only installation but also design, construction, maintenance, and even removal. We are a trusted fencing contractor in the Kyle area. You just have to pick the style of fence you want to be installed and we will do the rest. Our technicians will come to you on time and perform the job in a few days or more depending on the size of the project. We work not only with homeowners in Texas but also with numerous small and medium business owners. Schools, hospitals, and other public facilities also hire us on a regular basis to perform fence-related work. 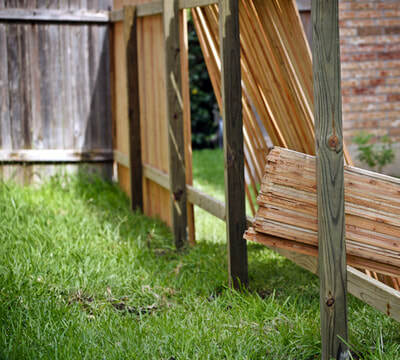 ​Fence installation should only be performed by skilled fence contractors to give you a sense of trust and security. If you want the job to be done right, you should call us. Our fence installers have decades of experience combined and they can give you practical advice on how to make the best choice for your next fence, both in term of the type of fencing installation but also in terms of maintenance. We will come to your property in order to evaluate the amount of work that has to be done. Installing a fence seems simple at first glance but it requires careful planning and research. ​Before starting your fence project, it is recommended to talk to your neighbors to be sure that the future fence will not be an issue along other property lines. If required, you should hire a land surveyor to determine precisely what are the exact property limits. Our fencing professionals will assist you as much as they can so you make the most of this addition to your house or office. You just have to choose the materials or ask for a custom fence if you want anything in particular and we will do the rest. With your new fence, your property will benefit greatly in terms of privacy, security, and curb appeal. Don’t overlook fence installation if you want a beautiful-looking fence to surround and protect your property. 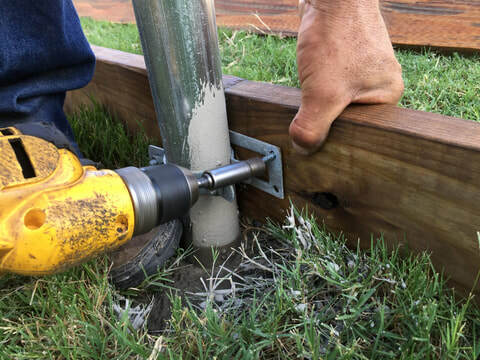 Get in touch with us today by filling out the inquiry form that is on our website or gives us a call directly at 512-399-1078 to talk to one of our fence installation technicians. Schedule a time to get your fence installed now! ​We cover not only Kyle but also various communities and cities in the Greater Austin Area.